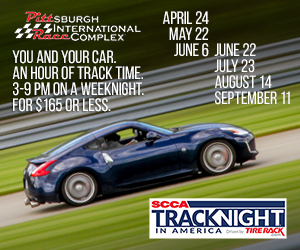 Over the weekend of 4/20-21/2013 Steel Cities SCCA hosted a Double Driver School, Restricted Double Regional and a Club Trial. The event started Friday night with registration and class room session for the 14 students for the driver school. 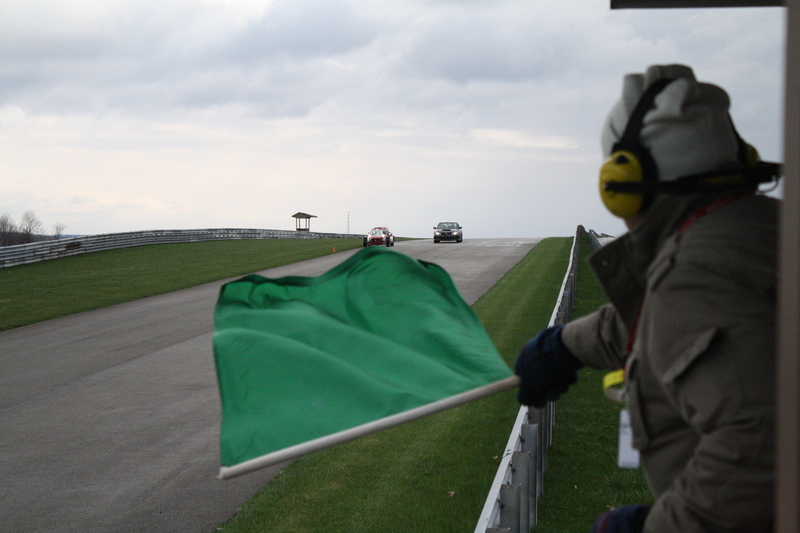 Saturday started off cold with some snow showers, and a very damp track. First group out was our Club Trial, divided into two groups of 11, followed by the students from the school, and after a couple of sessions our regional racers got out on track. They were also divided into two groups, with the first group being 10 cars and the second having 18 cars. We finished out the day with two Regional races. The first race, was won overall by Chris Durbin, the second was won by Neil Killey overall, with a new lap record being set by Charlie Campbell in SM @1:08.386. Sunday started with a dry track and a very busy schedule for the students as there was no Club Trial this day. 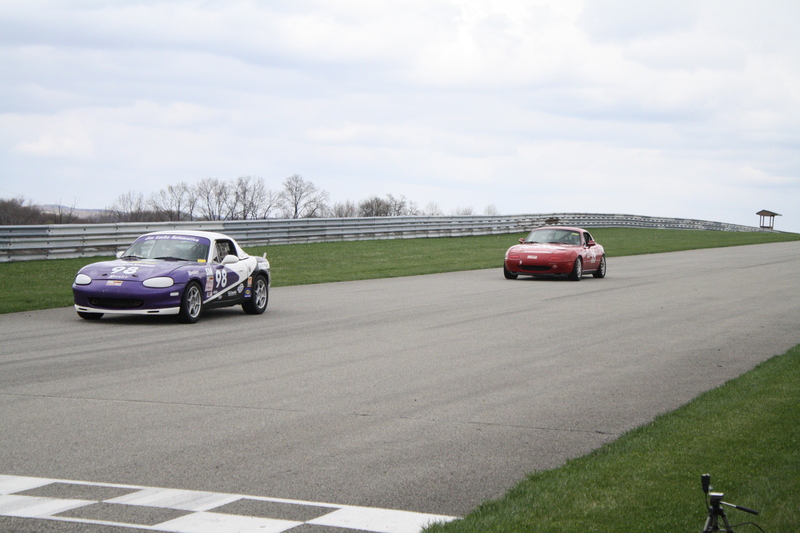 Sessions rotated between the driver school and the regional race groups, the day came to a close with a combined regional race, in which the driver school students could participate, if they chose to. 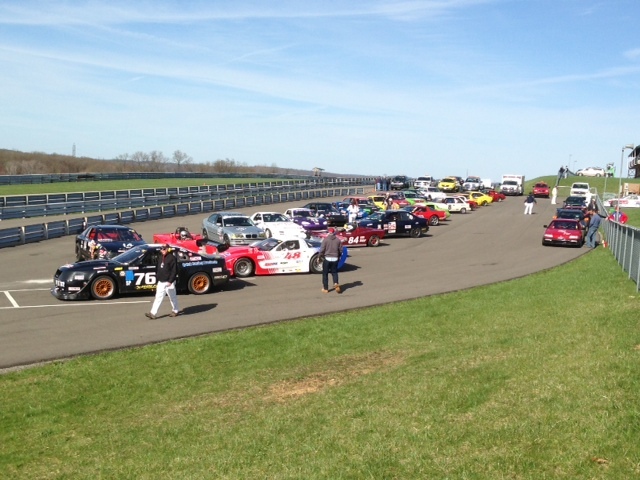 We had 25 Regional racers along with 8 of the students start this race. The overall race winner was Chris Durbin in his very fast Ford Mustang, with a new track record for Dan Hardison in ITB @ 1:10.517.